10am: LECTURE “Diva Detective” by Barbara Dann. Become a quilt detective. How is that block made? How can I make it in a different size? How can I make small changes to my quilts for big impact? How do I use the Studio 180 Deign tools? Answers to these questions and many more during this fun, lively and informative lecture and trunk show! LIQS is pleased to welcome Barbara Dann of Alley Cat Quiltworks. 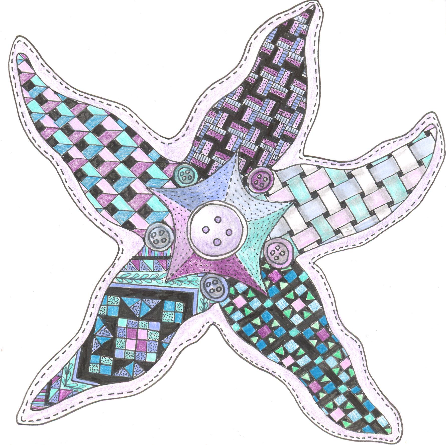 Barbara is Certified Instructor for Studio 180 Design - tools and techniques to make piecing precise, easy and fun! 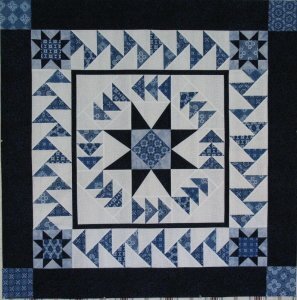 Using Deb Tucker's tools you too can enjoy piecing and making blocks you never would have tried before! 1pm Half Day Workshop following meeting. Create “Migrating Geese” that look like offset flying geese, but are built in a row as a braid rather than individual units. The technique doesn’t use any special ruler. We’ll be making a 6” strip of Migrating Geese in this workshop. 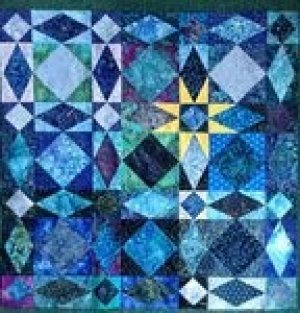 10am: Full day workshop “Storm at Sea” is a bucket list quilt! 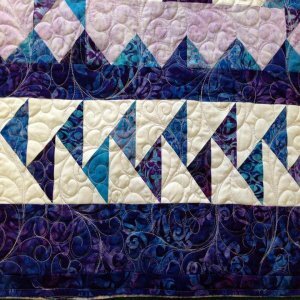 By utilizing Deb Tucker’s Square2 and Diamond Rects tools, this quilt requires no paper piecing, no templates and no stress…making it a joy to do!